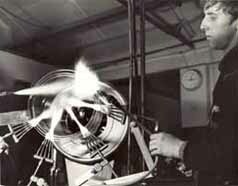 British Society of Scientific Glassblowers. The event took place at Gourock from 19th to the 20th September 1996. 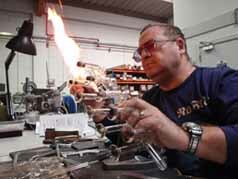 Over eighty glassblowers from all over the world were in attendance. The Chairmen of the Dutch and German scientific glassblowing societies were present as were glassblowers from Australia, Canada and Switzerland. 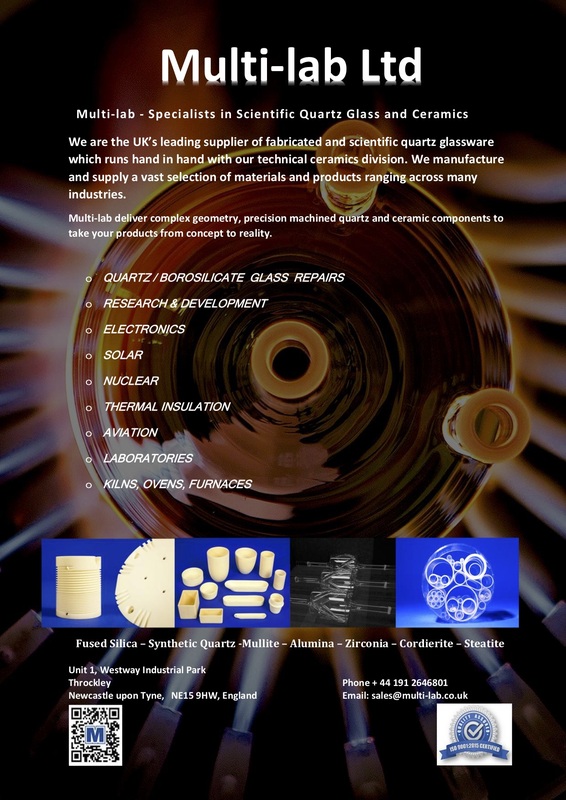 The lectures covered a wide range of subjects including lasers, semi-conductors, polymers and Jacobite glass. 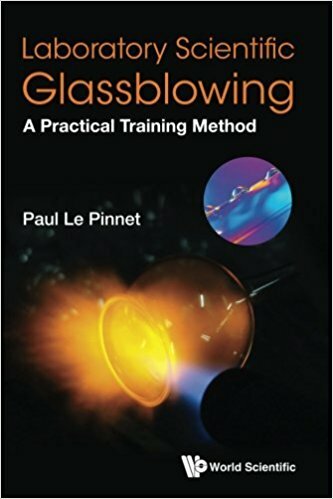 Of particular interest to myself was a lecture on computers and how they could assist in making the life of a glassblower easier.I gave a short talk on the virtues of electronic mail, ( Internet and CC Mail ). This went down so well that the BSSG has decided to create their own webb page and have an Internet address to help communicate with glassblowers world wide. The second lecture of the symposium was given by a Canadian glassblower who works at Toronto University and has recently undergone the process of privatisation. His talk centered on the experiences of all parties concerned. The feeling in the audience was that this was not the way forward even though many British universities have explored this option. 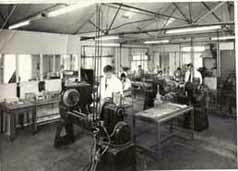 A more successful approach has been to utilise the glassblower more in alternative work, ( such as document control). One lecture on the second day cocerned the subject of NVQ’s. This was particularly useful and relevent to my work with staff training at Dounreay. The BSSG has been involved with NVQ’s through a Government lead body Glass Training Ltd, for a number of years. The experiences can be applied to careers other than that of glass. I hope to present a short video to staff on this subject in the near future. The final lecture of the symposium concerned the history of lampworked glass. The lecturer was the curator of Glasgow Museum and Art Gallery who expressed a desire to see more of my work. 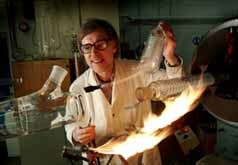 I have agreed to supply him with some slides of my glassware for inclusion in his futre lectures. There were several poster sessions where glassblowers gave short 10 minute talks on a hint or tool that they had developed. One on flanges was useful in that I have done similar work to this for D1203. Over ten Companies exhibited in the trade stand area where delegates could get first hand information on different types of glass, tools and equipment. At the BSSG AGM a motion was passed to accept corporate membership and relax certain rules to expand the membership base, ( this might influence glassblowers at BNFL to join). There were several competions throughout the symposium and I am very pleased to report that I won the artistic award. This made good use of my technical skills and my artistic talent.The competion is open to members worldwide and I have been trying to win this trophy since 1982. I had achieved second place previously but was determined to win this year and am pleased to achieve my objective. My duties at the symposium included acting as Audio/Visual Co-Ordinator in ensuring that all the lectures were recorded on video.Also I am the Editor of the BSSG Journal and took the opportunity to write several articles based on speaking to delegates. In summing up I can report that the “brotherhood” of glassblowers is still as strong as ever and the comradeship between members is as warm as I have experienced.